Turn to the African American Museum of Iowa for research resources and assistance. 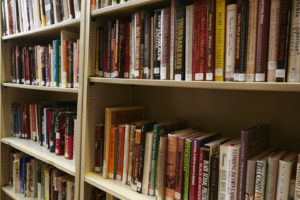 Find a library and archive rich in materials related to African American history and culture on a local, state, national, and international level at our facility in Cedar Rapids, Iowa. Research assistance is available for researchers unable to come to the museum. At the AAMI, you’ll find a unique collection that focuses specifically on African American history and culture. Access fiction and nonfiction materials on diverse subjects including art, history, music, literature, religion, biographies, and more. Our collection of vertical files contains mostly photocopies of documents and articles arranged by subject, geographic location, and surname. The library is non-circulating and open to the public without an appointment Tuesday through Saturday from 10 a.m. to 4 p.m. Appointments are required to access vertical files and for staff assistance (Tuesday through Friday only). Search a wide variety of materials including documents, manuscripts, photographs, sheet music, scrapbooks, oral histories, and digital media in our archives. An appointment is required, and all researchers must complete the research request form below. Appointments are available Monday through Friday 10 a.m. to 4 p.m.
You may use laptops, cameras, cell phones, paper, and pencil when using archival materials. Other items, such as bags, pens, etc., must be left in a designated location separate from the work area. Food and beverages are not permitted. Digital photographs are permitted for personal use only. For any other use (exhibition, publication, etc. ), you must make a formal request in writing, which is subject to the approval of the Curator. Please contact the Curator for information about use and reproduction fees. 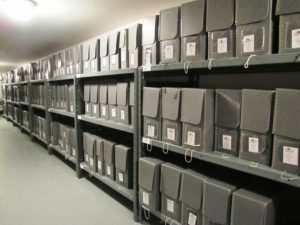 Thousands of documents and photographs available to search and browse through our online collection. Dozens of oral history videos and transcripts oral histories project available on our YouTube channel.